My Photography is the business and online name for 10 year old Macy Youngman. 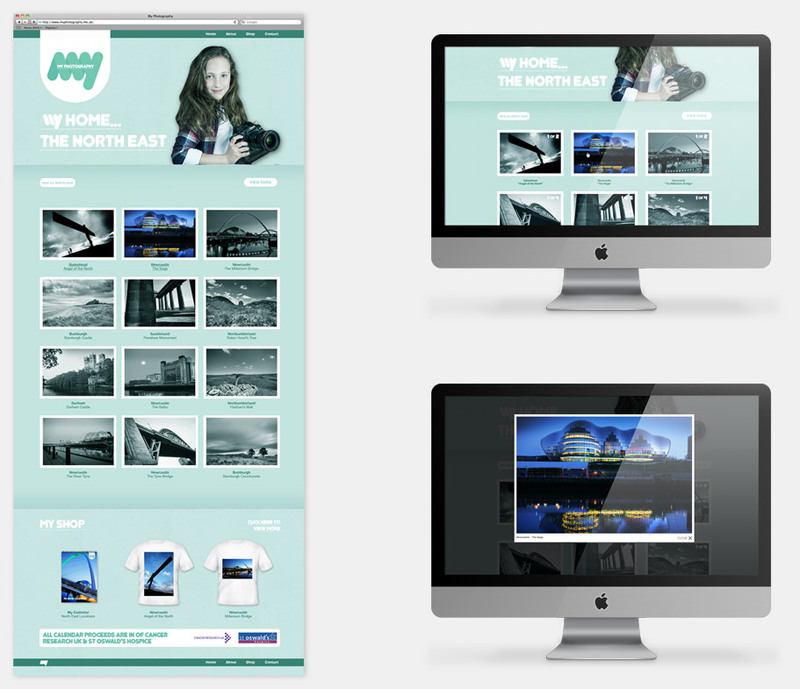 After designing the logo and identity for My Photography the next step was to design and build a website to showcase the images the young photographer had captured. To instantly communicate the age of the photographer the design featured a large portrait on each of the pages, each relating to the contents of that page for example shop page has a portrait of Macy holding the calendar that she sells for charity. This acts as a visual cue along side a strapline (seen to the right) so visitors quickly acknowledge what page they are on from the header. The design is clean and spacious with large typography and a subtle use of colour to act as a canvas for the vibrant images featured in the gallery. 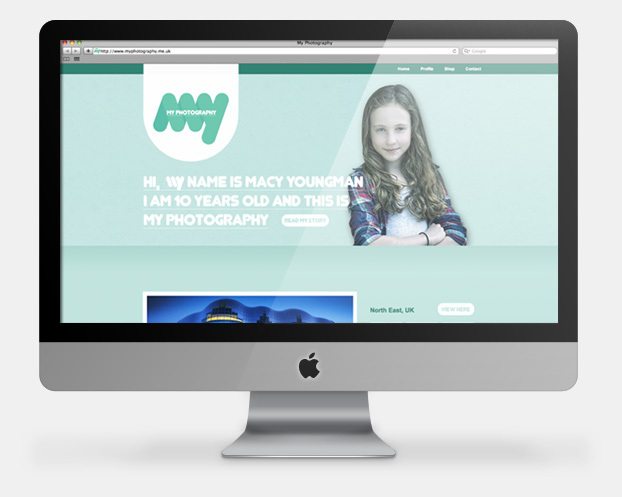 It was important to include a profile page as this gave Macy a chance to express her personality and tell her story. 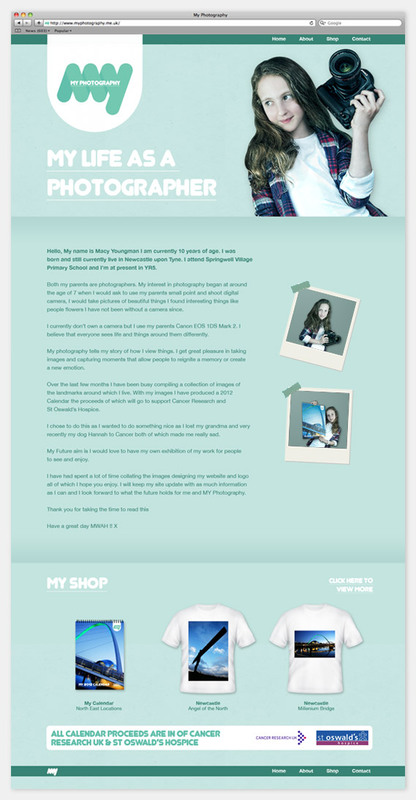 Every page includes a footer with selected items from the shop as well as the charity benefits, to help draw visitors to the photography based products. 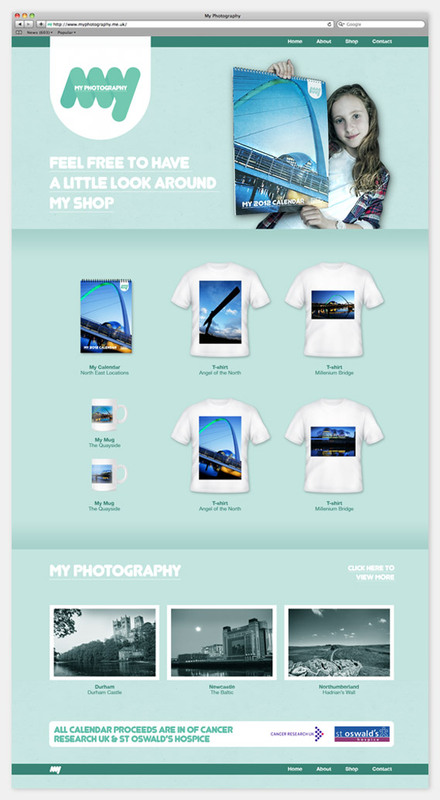 The modern gallery allows the images to be the main focus and uses a simple click to view method to enhance the users experience. Overall the site works well as an online site to showcase Macy's latest news, work and products and as proof of her professionalism at such a young age.